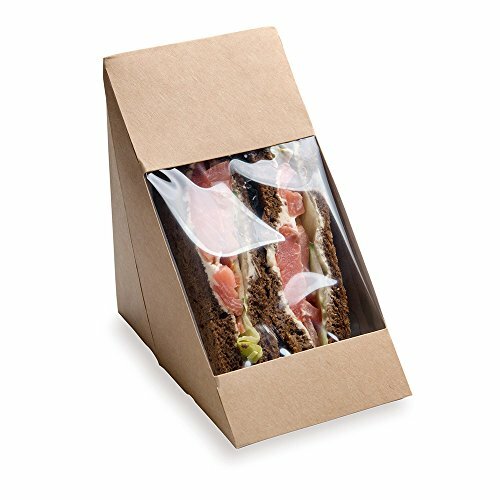 Load up your sandwiches and then show them off with these Large Triangle Sandwich Boxes. 3.2 inches high and 4.8 inches by 4.8 inches provides plenty of room to share your big, creative sandwiches. The window and kraft coloring are a great simple way to present your sandwiches in an package.